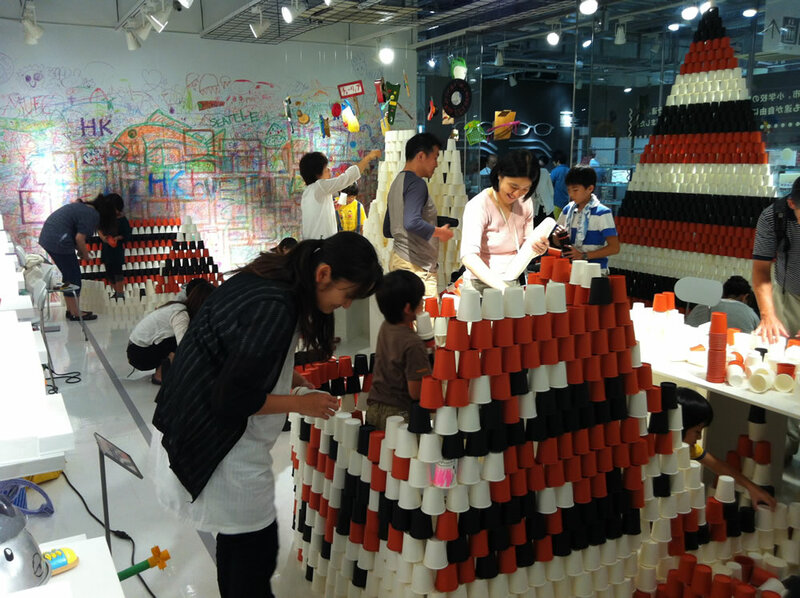 This was the special workshop in "Kodomo-no-Chikara Exhibition" in MUJI Yurakucho. 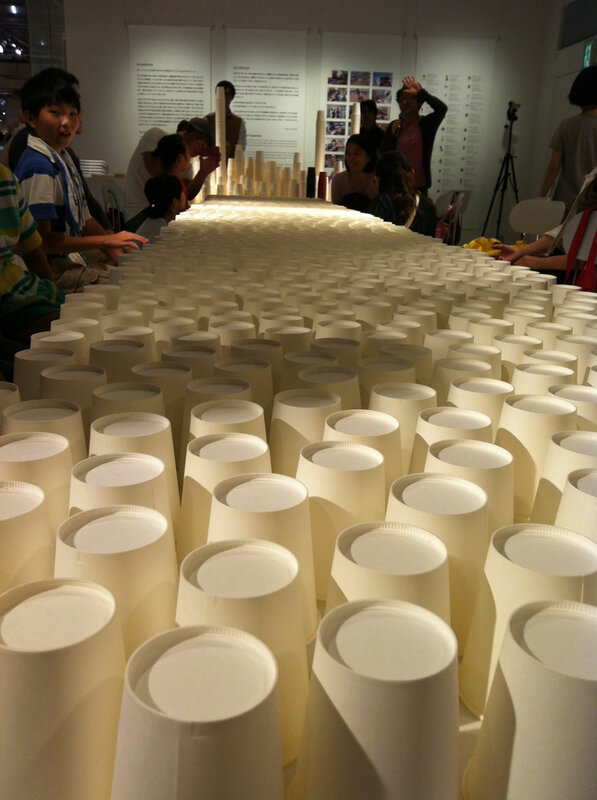 We used a considerable amount of paper cups (I think more than 10,000 pieces! ), the children and parents just piling them up to create their art works. 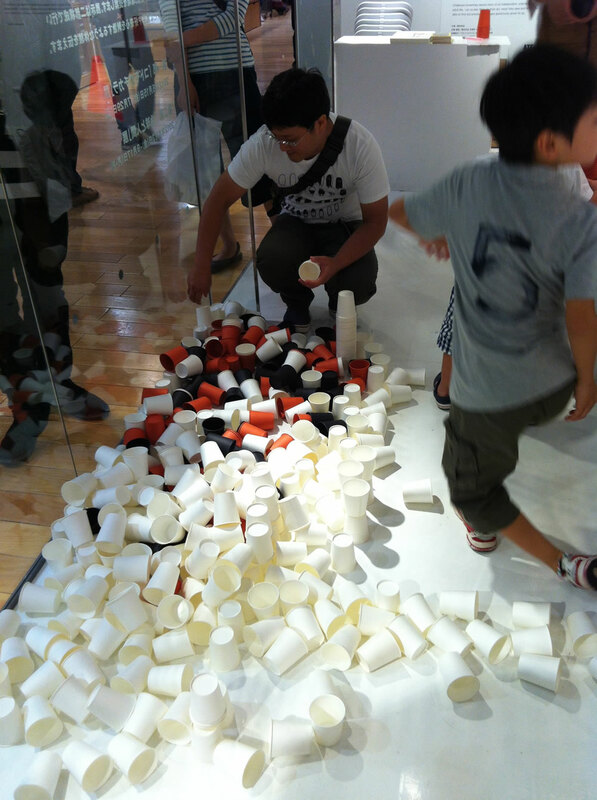 At the beginning, we put the paper cups plainly for one layer. Participant might feel something beautiful in the daily thing. 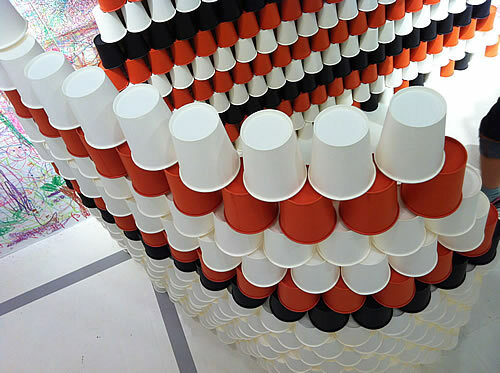 We prepared white, orange and black paper cups. 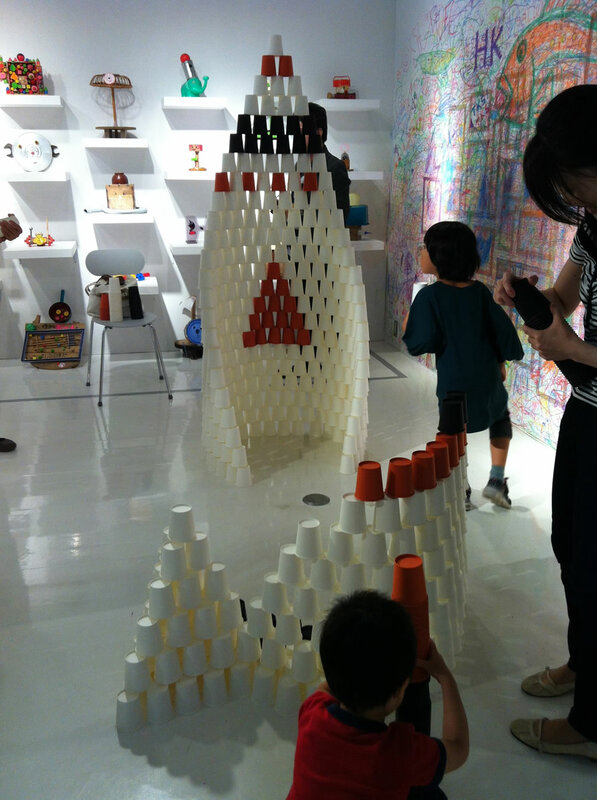 They piled cups up freely to construct something by each. Sometimes we added interruption to make strong wind by a blower. It was a kind of communication with participants to reflesh them. 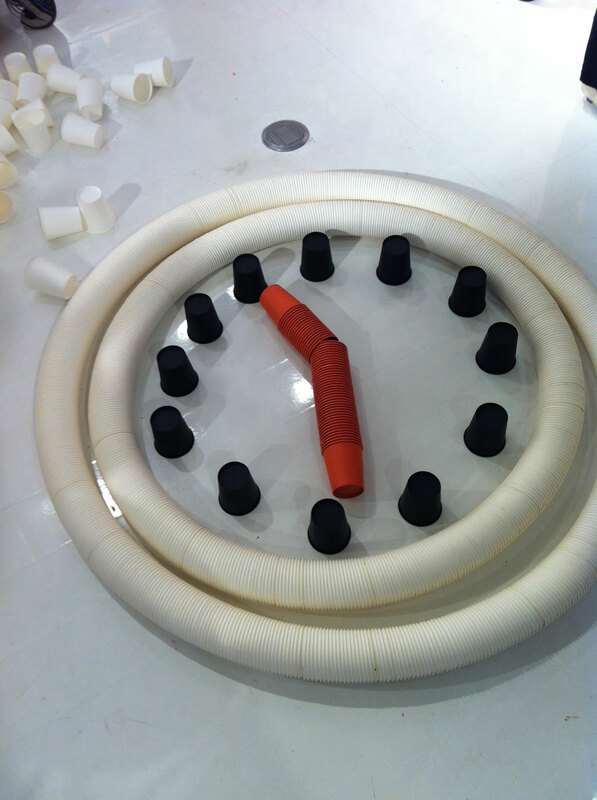 We usually set workshop time for 90 mins to 120 mins. 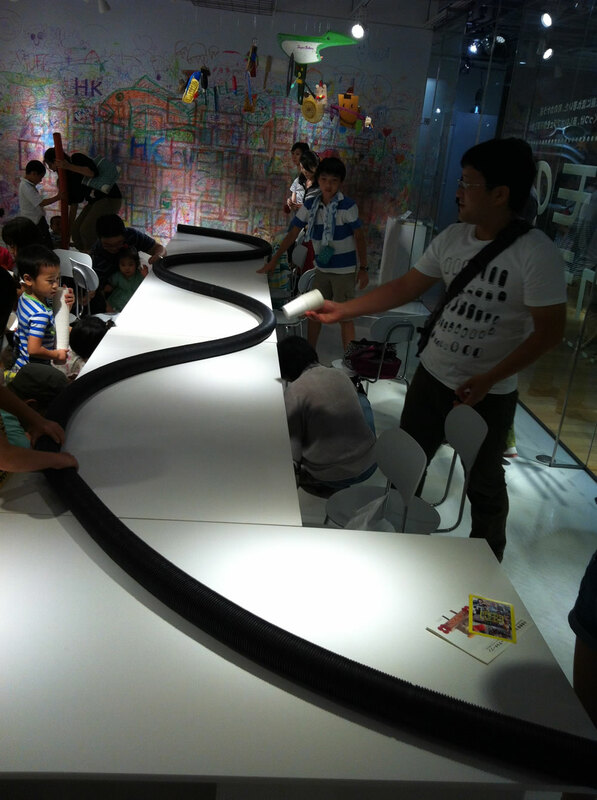 After tidying up every stuff, all of us made one meandering line together by black paper cups.